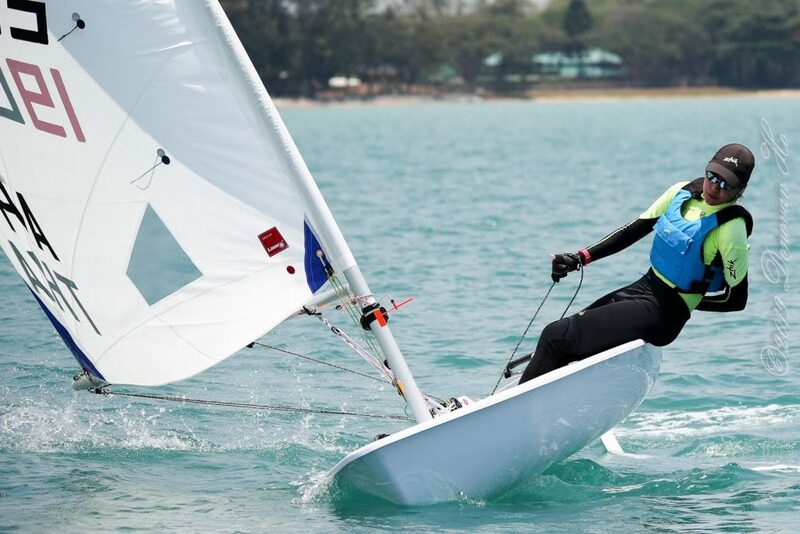 (Singapore, 19 March 2019) The National Sailing Center in Singapore at the East Coast Park hosted 64 sailors across 15 nations last week where the inaugural ILCA Asian Open Laser Championships was held. At the opening ceremony on 3 March 2019, a minute’s silence was held for the late Jeff Martin who served as the Executive Secretary Emeritus for the International Laser Class Association for 40 years. “Jeff Martin was instrumental in establishing a stand-alone Asian region of the ILCA, carved out from the Asian Pacific region. Since the inception of ILCA Asian Region in 2018, we had been looking forward to this inaugural continental Laser championship. Jeff would have been our Principal Race Officer for this event, unfortunately, he passed on just before the event in a ski accident. Nonetheless, I believe Jeff will be watching over us from wherever he is right now, making sure our event runs smoothly and safely and that everyone is having fun,” said Aileen Loo, Chairperson of the Asian Region of ILCA. 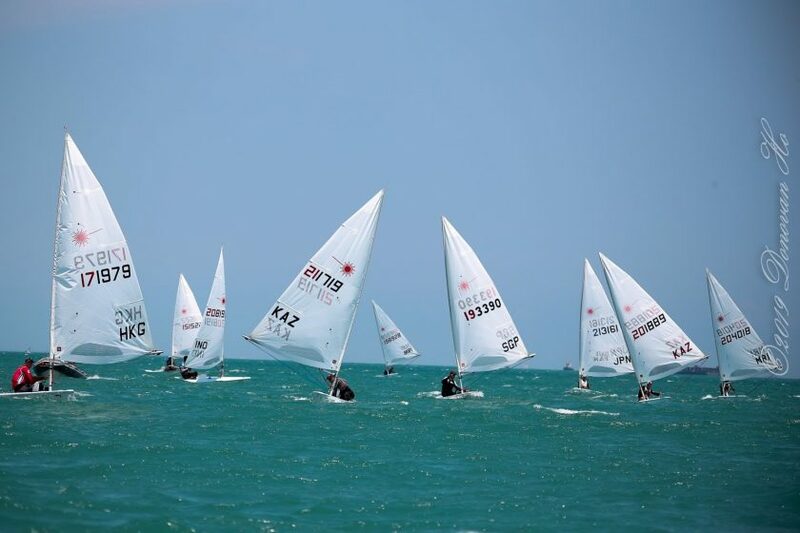 The first race day was dedicated as a special memorial for Jeff Martin; all official, support, and coach boats and all competing Lasers donned a black ribbon as a mark of gratitude and respect to Jeff’s lifelong devotion to the Laser class and to sailing. Three back-to-back races were completed in an average of 8 knots. The Laser Standards and Laser 4.7s on Race Area Alpha were running a trapezoid course whilst the Laser Radials raced around a windward-leeward course on Race Area Bravo. 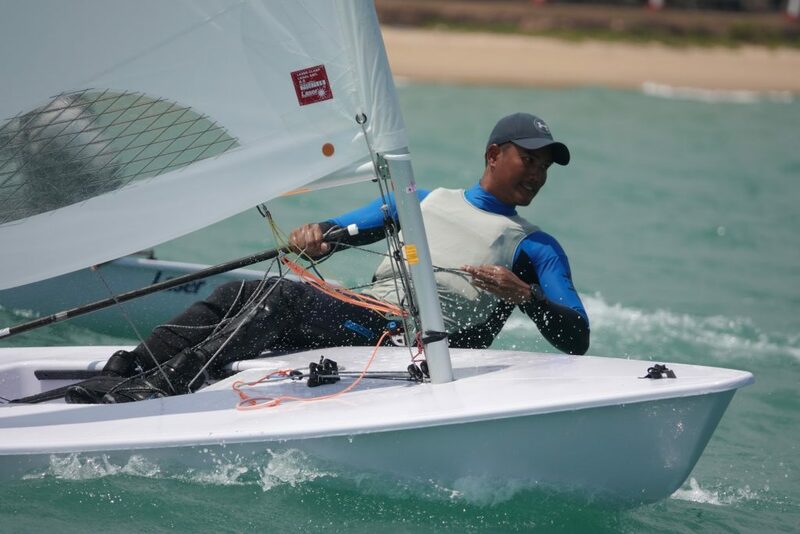 Team Thailand dominated the senior divisions on Day 1 leading the Laser Standard Men and Laser Radial Women fleets. 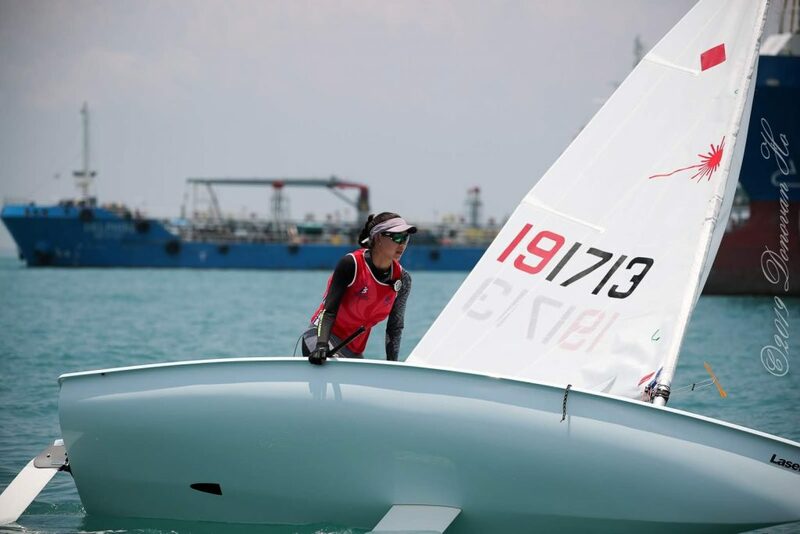 Singaporean Lee Hao Zhe and Abdulmalik Al Hinai of Oman led the Laser Radial Boys and Laser 4.7 fleets respectively. Day 2 presented some challenges for the race committee as the northeasterly wind was flicking east and resulted in a few changes of course. With much blessings, the wind stabilized and another three good races were completed as per scheduled. With the forecast of lighter winds later in the week, the race committee made an amendment to have the option to run up to four races the following day. With bright sunshine and 10 knots of wind gusting up to 12 knots, the sailors were sent around the race track four times on Day 3. A big day indeed with many tired but satisfied faces when boats came back to shore, both athletes and coaches alike. A midweek dinner was hosted by the local Laser dealer, Constant Wind Pte Ltd, at their Sea Sports Centre located within walking distance from the race venue. Sailors, coaches, and officials were treated to a sumptuous buffet dinner featuring an array of local dishes and a generous supply of beer. The relaxed social evening closed with happy rewards for some sailors/officials as they won prizes such as caps, rashguards, laptop bags, and a cabin luggage bag at the lucky draw sponsored by Constant Wind’s Pro Shop. Race day 4 started calm and light in the morning. The race committee deliberated whether to fly AP on shore; however, by 11:30, the wind-spotter boat reported a consistent 6 knots of easterly breeze and sailors were sent out to their courses. With the wind settled between 110 and 130 degrees, the sailors completed another three races in a nice building breeze. One race ahead of schedule, the race committee pushed back the first warning signal for race day 5 to 13:00, to give everyone an additional hour’s rest in the morning. It was a good decision as the wind filled in just as the races began. Sailors soaked up the sunshine and fresh Singapore breeze for the final day before gathering back on shore to pack up. The prize-giving ceremony and closing dinner were held at Village Hotel Katong. Dr Ben Tan, Advisor to Singapore Sailing Federation (SSF) and an Asian Laser sailing icon himself, graced the occasion and gave out some of the prizes. More lucky draw prizes, sponsored by Performance Sailcraft Japan (one of Asia’s Laser builders) were given out to some very happy sailors and coaches. 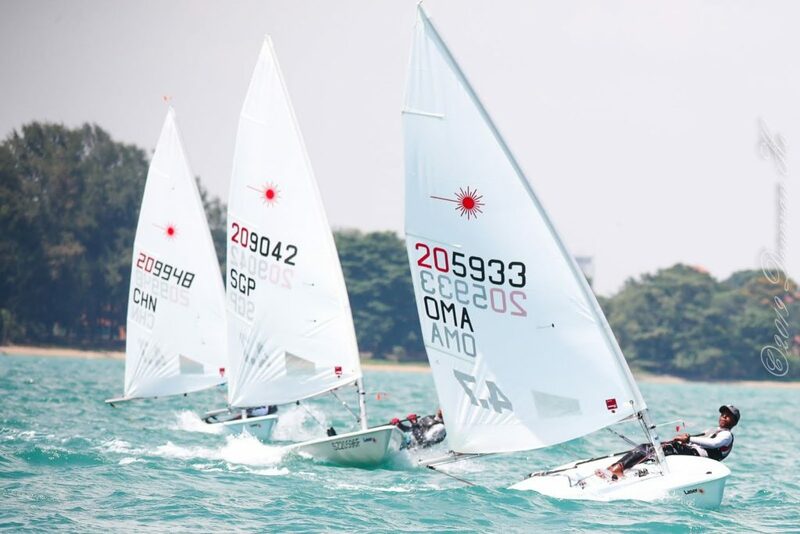 “The event has shown the depth of Laser sailors in Asia with the junior, youth, and senior classes racing together. It allows the younger sailors to see what is ahead. Asia has no lack of sailing talent and with better collaboration, sharing of knowledge, and healthy rivalry, together we can improve faster and better. We look forward to the 2020 edition, let’s hope we can have at least 100 entries,” said Mr. Lim Han Ee, CEO of SSF.